Below you can find all documents and information for competitors, coaches or team managers involved with the Swim England National Winter Championships 2019. The competition takes place on 5 – 8 December at Ponds Forge International Sports Centre in Sheffield. Entries for the National Winter Championships 2019 open in September. Download the Event Conditions – these contain everything you need to know about competing in Sheffield. Download the Challenge 68 Info – not sure what our new event involves? Find out more on our Challenge 68 document. Download the Qualification Times – check that you have qualified to compete at Ponds Forge. Download the Entry Pack – view full information about competing. Draft Programme – download this draft programme to view the latest entries by event. Entry Checker – use the entry viewer to check all entries by name. Confirmation Pack – find event details including schedules, accreditation and general information. Download our Schedule document for full timings during the competition. 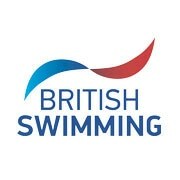 All coaches, team managers and chaperones wishing to be poolside for the Championships must have a valid accreditation. Head to our Poolside Accreditation page for full information about purchasing a pass for coaches, team managers and chaperones.